University development cooperation is based on international solidarity. Mutual collaboration between academics in the North and the South is actively promoted. In all its aspects, the cooperation must strive for quality and aim to achieve sustainable effects. A maximum degree of synergy and complementarity is sought with other donors and actors. It aims at the development of expertise in both North and South on topics related to developing countries. 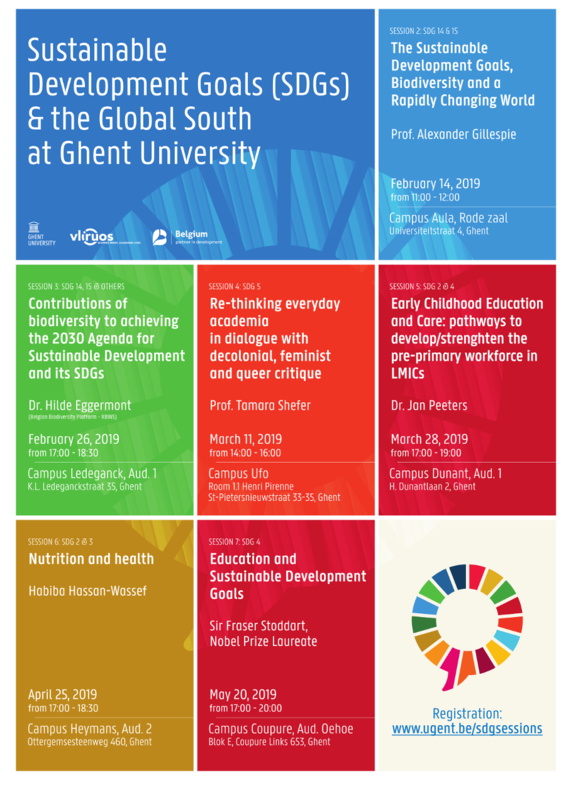 The Sustainable Development Goals (SDG's) & the Global South at Ghent University. Read more about the next SDG sessions! Follow us on Facebook: "Students from developing countries UGent"